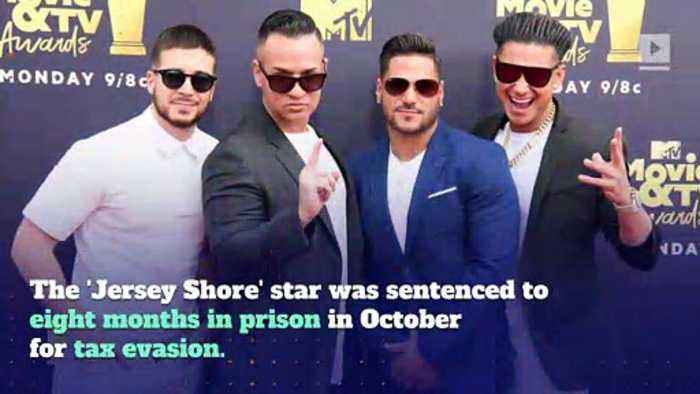 Mike 'The Situation' Sorrentino Begins Jail Sentence The 'Jersey Shore' star was sentenced to eight months in prison in October for tax evasion. A postponement to the start date was allowed so he could marry girlfriend Lauren Pesce a month later. He will serve the term at New York's Otisville Federal Correctional Institution. Before surrendering, Sorrentino posted an Instagram video for his friends, family and fans. Mike Sorrentino, via Instagram Besides jail, Sorrentino must also do 500 hours of community service and will be on supervised release for two years after his prison sentence ends.